The demise of my father was so sudden and dramatic, that almost two decades later, it still seems surreal. I had been in the UK for two years almost to the day in August 2000. I had just moved into new hospital digs, when a hospital porter knocked with a message from switchboard (Having just moved, I had no phone in my room, and certainly no mobile) that my dad was critically ill. I had called my parents just five days earlier on their wedding anniversary (15 August, Independence Day), and he was as healthy as he could be at seventy-two. There must be a mistake, I told the porter; you’ve got the wrong room. But he was back a few minutes later, shaking his head regretfully. I was in the departure lounge of Heathrow airport just hours later, but my father was already dead. As I sat there, numb with shock and disbelief, awaiting the first available flight out, I remember my first emotion, even more than grief, being anger. Anger at him, for leaving without a proper goodbye, and at myself for not having been there when he departed. There was so much ‘unfinished business’ between us, so many loose ends, so many missing pieces in a vast jigsaw puzzle that I thought I’d sort out ‘later’, because parents are immortal, aren’t they? I’d ask him about missing links in the family tree or history ‘tomorrow’, or ‘the next time’ we met or spoke. ‘Tomorrow’ would never come now, and that hit me like a sledgehammer. We cleared the furniture in the living room in a blur, to receive his body from the morgue. And my eye fell upon the pencil-sketch of him in youthful profile on the wall, undated, unsigned, but from his heady student years in Europe. Anyone who knew my father will immediately recognize him from the sketch. As children in the 1970s, my brother Victor and I would place tracing-paper over the glass and copy the sketch endlessly. We asked my father who the artist was, and he would reply, “My friend Navelcar.” I didn’t press further then; at the time, that answer was enough. I would ask him more about the artist ‘later’. Three decades later, I was still no wiser, about this and so many things. I returned to the UK after the funeral, and long story short, was back in Goa eight years later, in 2008. Going through my dad’s personal effects, many unanswered questions did sometimes get resolved. But the artist of the sketch was still a mystery. But now, I wanted to know. Was the artist still abroad or here, living or dead? Where had it been sketched? Lisbon, or Berlin? Then, in a section of the press (it was about a year or two after 2009, when my son was born), there was an article about Vamona Navelcar. From the mention of his age, it was obvious that he was my father’s contemporary; and his Lisbon years coincided with those of my father. It must be the same Navelcar, I told my mother. Through the grapevine, I tracked down his Panjim address, only to be told his home was in Pomburpa. I got hold of a phone number, and spoke to Navelcar himself. The line wasn’t clear, and my story must have been perplexing to him. As I now know, he is such a prodigiously prolific artist; how could he be expected to remember a sketch from half-a-century earlier? On an impulse, having vaguely understood the directions to his Pomburpa house, I decided to drive over that instant, taking the painting, and my wife and son along for the ride. I introduced myself, but Navelcar still couldn’t remember my father. Until he saw his painting, that is. I wish I could describe the sparkle in his eyes when he quite literally recognized an ‘old friend’, both the sketch itself and its subject. This was an unfamiliar Lisbon landmark. I have not visited Lisbon often, unlike many Goan acquaintances. I’ve only been there twice. 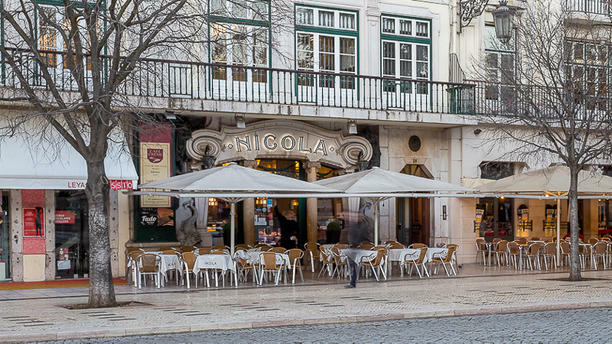 But on both occasions, I made sure to stop by for a coffee at another café, Café Nicola at the iconic Rossio square. My father had often told me that three generations of the family before me had been regulars there in their student years in Lisbon. A recurring intergenerational ‘trick’ gets played out over and over, perhaps since the beginning of mankind. When we’re young and impetuous, we don’t really listen when our parents and elders try to hand down the family stories, because we’re preoccupied with our present, which is far more real and appealing. By the time we’re old enough to value this oral heritage, it’s often a little too late, as the older generation has gotten even older, memories are beginning to fade, or they’re not even with us anymore. My father would drone on endlessly at mealtimes, telling us these stories, but I can remember only fragments now. At my last Lisbon trip, almost a decade after my father’s death, I sat in Café Nicola at a table by the entrance, overlooking the square, where apparently my ancestors had sat too, and wept quietly, not just for him, but also for not having listened more attentively to him. But now, thanks to the Navelcar sketch, another fragment of a hitherto ‘lost’ story has been regained. The next time I go to Lisbon, the Café Pão de Açúcar (which Google tells me is at the Alameda Dom Afonso Henriques) will be another pit-stop, for this is where two friends perhaps had a coffee almost fifty years ago, and this precious sketch was born. Reading Anne Ketteringham’s lovingly written ‘Vamona Navelcar: An Artist of Three Continents’, other parallels between his life and that of my father are also obvious.Like Navelcar, my father was also pressured by the dreaded Portuguese secret police PIDE (Polícia Internacional e de Defesa do Estado) to sign a document denouncing Jawaharlal Nehru, India’s first prime minister. It was a pre-condition to his being allowed to study medicine in Lisbon. Like Navelcar, my father refused to comply, and faced the consequences. He was compelled to therefore leave Portugal, and it opened a new chapter in our family history, in Germany. It has taken a while for Navelcar to be hailed in his own homeland, but laudable efforts have recently been made, most notably the ongoing exhibition of his work at the Fundação Oriente in collaboration with the Al-Zulaij Collective. Navelcar is unusually generous in bestowing his art to an adoring public, with impromptu, effortless sketches dashed off in lieu of a signed autograph (as he did at the inauguration of the exhibition). But this 1959 work is an even more treasured heirloom, for its connection to my father, and the new family story it revealed to me. Our civic authorities must have a curious sense of humour bordering on malice, in choosing the garden of Dr Gen. Miguel Caetano Dias as a designated garbage dumping site. Dr. Miguel Caetano Dias was decorated, and had a statue put up to him, for eradicating the bubonic plague in Goa 1908-1910. 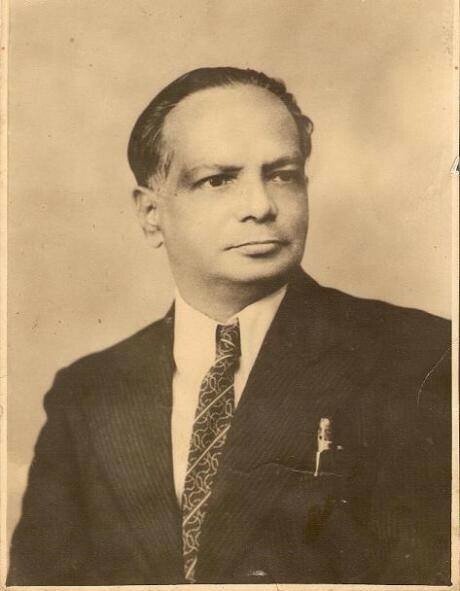 And his eldest son Dr. Victor Manuel Dias was responsible for the Saneamento da Velha Goa (Sanitation Plan of Old Goa) 1948, which allows us to visit the city today, and the stress and exertion of which took its toll in causing his premature death just months later. It is perhaps ignorance that has caused the CCP to choose this very site, but it is also the ultimate ignominious indignity, that the statue of Dr. Miguel Caetano Dias is condemned to the sight and stench before him every day. The champion of sanitation and public health is surrounded by a breeding-ground for vermin and disease. Could there be a worse slap in the face to the memory of a once-respected and loved public figure? Will the much awaited telescope and microscope ever arrive, to see this problem and take action? Or is now a malodour-ometer required as well? If anything, the filth has only proliferated and worsened since these pictures were taken and at the time of uploading this post. I guess it is inevitable that from having hardly ever been to Mangalore (I had made a trip by bus just once, in my junior doctor years, in the 1990s, to visit a colleague at his workplace), I would begin to visit much more often after marrying a Mangalorean. 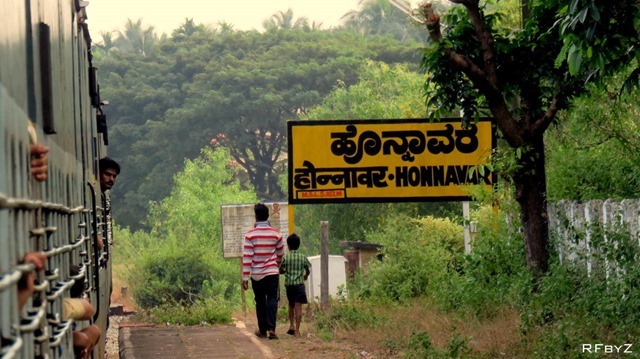 Technically, it’s not Mangalore proper that we visit; rather it is a little village on its outskirts, Kinnigoli, where my wife’s family has a sprawling farm estate, with paddy fields, arecanut plantations, and an abundance of coconut, tadgola, mango and jackfruit trees. It becomes the extended family’s annual, sometimes bi- or even tri-annual, bolthole escape from urban life, literally out of earshot of any traffic, and just the sounds of nature: peacocks, frogs, and crickets instead. It is a birdwatcher’s paradise. Although we’ve travelled there by air a few times, I love the train journey the most, because the route takes you through some really breathtakingly picturesque coast-hugging tracts of our southern neighbour Karnataka. This was in stark contrast to the muddy mayhem we would pass through on our way out of Goa, particularly at Loliem, where mining activity is back in full swing, with hundreds of trucks back and forth in columns of dust, like so many worker-ants in an ant-hill. The first few times, the intervening stations between Margão and Mangalore (Canacona; Balli; Karwar; Ankola; Gokarna Road; Kumta; Honnavar; Murdeshwar; Bhatkal; Byndoor; Kundapura; Barkur; Udupi; Mulki; Surathkal) would seem a confusing blur. But over time, especially as I began to delve more and more into Goan history, the connections with several place-names became apparent. It would be impossible to do justice to so much history in a column, but we could take a whistle-stop tour as we progress toward Mangalore. Take the port city of Karwar (also called Chitrakul; or Cintacora by the Portuguese) for starters. It was noted for its shipbuilding, and much coveted through history for its favourable, safe-harbour port and for its access to the pepper markets as well as other spices such as cardamom; and to muslin. In 1510, the Portuguese ransacked and burnt its fort, described in their records as Forte de Piro due to the presence of the dargah of a Sufi saint (pir) there. Aggressive demands by the British for the cession of the port to them prompted the king of Sonda to seek the protection of the Estado da Índia in 1697, becoming its tributary. The Sonda kingdom eventually capitulated to the British demand to establish a factory in Karwar, whereupon the Marquis of Távora captured the Sonda strongholds of Cabo de Rama and Karwar between 1752 and 1754. The French (notably Governor-General Joseph François Dupleix) also coveted Karwar, as they had an inferior port in Mahé, but desisted as it would upset the Portuguese, whose friendship they needed. Honnavar, Bhatkal, Kundapura and Barkur all find mention in our history. According to one account (Oriente Conquistado, by António de Sousa), Muslims from Honnavar (Onor in Portuguese chronicles) sought refuge in Goa, then under the Bahmani rule, to escape the wrath of the Vijayanagar empire after a massacre of 10,000 there. Although there is much historical confusion about Timoja (or Timayya), the controversial figure who colluded with the Portuguese in their conquest of Goa in 1510, Padre M.J. Gabriel de Saldanha in his História de Goa (Política e Arqueológica) refers to him as ‘Soberano de Onor’ (sovereign of Honnavar). Some historical accounts state that Krishnadevaraya of the Vijayanagar Empire permitted the Portuguese to build a fort at Bhatkal in 1510. Prior to that, in 1502, Vasco da Gama torched its port. 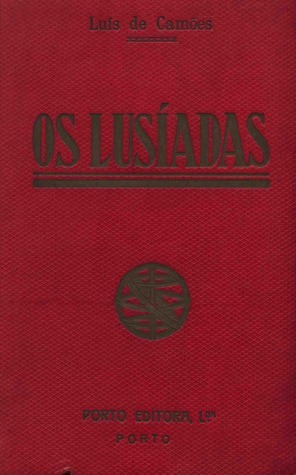 Luís Vaz de Camões in the final instalment of his epic Os Lusíadas (Canto X, stanza 66) waxes jingoistic about ‘Baticala’: ‘Having cleared India of enemies, he [Dom Martim Affonso de Sousa, viceroy of Estado da Índia 1542-45] will take up the viceroy’s sceptre, With no opposition, nor any danger; For all fear him and none complain, Except Baticala, which brings on itself the pains Beadala [a southern port near Rameshwaram captured in 1538 by Affonso de Sousa] already suffered’. 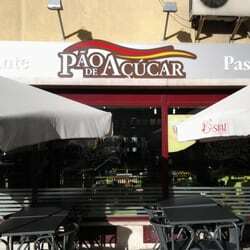 Que todos tremem dêle e nenhum fala. Mangalore fell into Portuguese hands in 1524, and Honnavar and Kundapura in 1569. But links between Goa and Kanara pre-dated the Portuguese era as well, with migrations in both directions due to trade, or the ravages of pestilence and famine. The history of the Estado da Índia is marked by its heavy reliance on imports of rice from the rich paddy fields of Kanara and the Províncias do Norte for its sustenance. Annual tribute was received from Honnavar, Bhatkal and Basrur (Barcelor) in Kundapur district in the form of thousands of bags of rice. Persecution added to the reasons many Goans, both Hindu and Catholic, migrated to Kanara, as is still evident from many surnames one encounters there. And in the reverse direction, we still encounter surnames here that are in fact place-names there: Mundkur, Padubidri, Kumta, Mulki, Uchil. 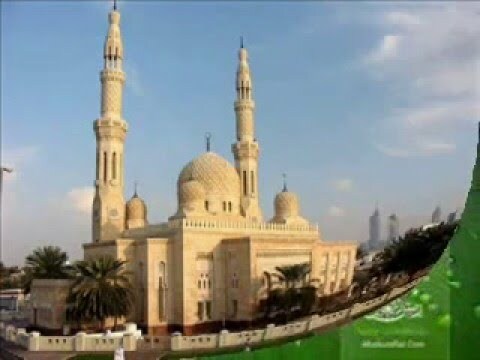 In the failed 1787 revolt (Conjuração dos Pintos) in Goa against the Portuguese, the outside assistance sought of ‘200 Muslims’ from beyond the Estado would probably have been of Kanara origin. It was inevitable that ports like Mangalore and others along the Kanara coast should have strong links with Goa, another key port, borne out by travellers through history. As in Goa, the past in Karnataka is simultaneously obscured, but also manifest in other ways. For instance, Portuguese is hardly spoken or understood on the city streets and in the villages today. But what do my son Manuel and his cousin, (and the rest of us), say to their great-grandmother, the family doyenne, at the end of the pre-bedtime rosary (ruzar)? “Bessao (Benção) di, Mãe!” There are two Portuguese loan-words in that three-word sentence. Had you visited our house until the mid-1990s, you might have noticed, while walking up the winding stone stairway, a black-and-white print of a painting on the wall above you. This was just one of the artworks that were on display in the entrance stairwell, until the thefts began. First the beautiful Japanese porcelain face masks over each doorway disappeared; then the shiny brass railing. We even had to place protective padlocked cages around lightbulbs, as they vanished too. The painting survived, deemed by thieves too inaccessible, heavy, and uninteresting. I knew it depicted a scene from ancient Greece, but it didn’t arouse further curiosity. I don’t know how long the print has been in the family, but the fact that it is titled in German “Die Gefangene Andromache” (“Captive Andromache”) suggests it was purchased by my grandfather during his years in Germany. Today, of course, everything is accessible online. So here is a picture of the painting in colour; the original oil painting hangs in the Manchester City Art Gallery,s the work (1888) of English sculptor and painter Sir Frederic Leighton (1830-1896). Leighton, like so many other artists, was partial to themes from ancient Greek history and mythology. This is a scene depicting the sequel, if you will, to Homer’s Iliad: the aftermath of the Trojan War. It’s still not a historical certainty that the Trojan War actually took place, although there are so many different accounts of it down the ages that it must contain at least a basic kernel of truth. According to Greek mythology, the Trojan War was waged between the 13th and 12th centuries BC. The trigger was the abduction (or perhaps the elopement) of Helen, wife of Menelaus, king of Sparta, to Troy by Paris, prince of Troy. If the Trojan War was indeed a historical event, historians now feel that Helen’s abduction was a convenient pretext (just was the fabricated ‘weapons of mass destruction’ were for the invasion of Iraq) for a concerted Greek attack on the rich city of Troy. Its location in Asia Minor (modern-day Turkey) near the narrow Dardanelles strait (known in antiquity as Hellespont) joining the Black Sea to the Aegean, made it of strategic importance on the vital trade routes connecting East and West. In addition to spices, gold and other riches, it also handled copper and tin necessary for making bronze, the crucial alloy for fashioning armaments in the Bronze Age. Just as wars today are fought over oil, whatever the ostensible reasons given to us are, so it is also plausible to assume that the Trojan War, a supposedly ‘just war’ based on lofty principles and honour, like so many ‘just wars’ after it, was actually a grab for power and control. The principal characters in the Trojan War are, on the Greek side: Agamemnon, king of Mycenae and brother of Menelaus; another king Odysseus (Ulysses in Latin), king of Ithaca and part of the Greek coalition; and the Greek hero-warrior Achilles. On the Trojan side: Priam, king of Troy; his sons Hector and Paris, princes of Troy and his daughter Cassandra, princess of Troy; and Andromache, wife of Hector, by whom she has an infant son Astyanax. There are many more on both sides, but these will suffice for us. Hector is the Trojan hero-warrior counterpart to the Greek Achilles. According to Homer’s Iliad, the war raged for ten years, with neither side the victor; the formidable battlements of the fortress-city of Troy were immune to attack, and there were obviously sufficient food and water supplies within despite the long siege. Matters come to a head when Achilles, maddened with rage after the death of his cousin Patroclus, challenges Hector to a duel. This is given much melodrama in the 2004 Hollywood film Troy. Ironically, the soldier idealised by Homer is the Trojan warrior-hero Hector. He has the character of the model soldier and citizen. Andromache in classical Greek means “battler of men” (Andros= male; mache=battle). In many accounts of the story and in the 2004 film, when Hector bids goodbye to his family, Andromache beseeches him not to rise to Achilles’ bait. In Hector’s response, Homer foreshadows the end of the Trojan War and its outcome for not just Hector and for Troy, but for his nuclear family as well, tilting the reader’s sympathy in favour of Troy rather than Greece. Like any husband, Hector tells Andromache he cares more for her and their son than for his country. He is fighting for something much more personal: his wife, his child and his home. We identify very much with Hector and with Troy. Hector envisages that Andromache will soon be a widow and Astyanax an orphan. What even he is unable to foresee (and Homer’s Iliad ends before the outcome of the Trojan War is revealed) is that the outcome will actually be far more gruesome. Achilles murders Hector in full view of Andromache, and then defiles the corpse by dragging it behind his chariot around the city walls. King Priam has to beg for the return of his son’s body, so it can be given a proper hero’s farewell. And when Troy eventually falls (whether the Trojan horse is a literal device of Greek deceit, or a metaphor for an ancient ‘weapon of mass destruction’ is unclear), Andromache has her son Astyanax wrenched from her bosom and hurled from the battlement walls, killing him instantly; the Greeks consider it too dangerous to allow Astyanax to live lest he grow up to avenge his father and his countrymen. The Greeks’ ‘just war’ ends unjustly, dishonourably and deceitfully. And what of Andromache? She becomes a ‘spoil of war’. No time to even grieve her husband and son, she is forcibly made concubine to Achilles’ son Neoptolemus. It is at this juncture that Leighton portrays Andromache. She is literally at the centre of the painting, clad in drab black clothes (signifying mourning to 19th century England, even if not ancient Greece) in stark contrast to the bright colours worn by everyone else. Head bowed, isolated from those who bustle around her, she contemplates her fate. A once-proud princess, she is now reduced to the menial task of drawing water from the common well, and patiently waits her turn in the queue. And although Leighton couldn’t have foreseen it in 1888, the cloud directly above Andromache resembles eerily the mushroom cloud we associate with another horror of warfare, the atom bomb. Andromache is true to her name, not in the literal sense of ‘battling’ men. Not every battle need be fought in the physical sense, all blood and gore. But her character and her life, although influenced, prodded, traumatised and brutalised by testosterone-fuelled notions of war, honour, glory, rise above it all. She seems to be questioning both the victor and the loser in the war whether the human toll and blood price was really worth it.